Finally! After over a year-long wait, Ash vs Evil Dead returns to Starz tomorrow night for the premiere of its third season. Fans of the series were left worrisome when Starz failed to promote the series ahead of its usual Halloween-timed premiere dates. 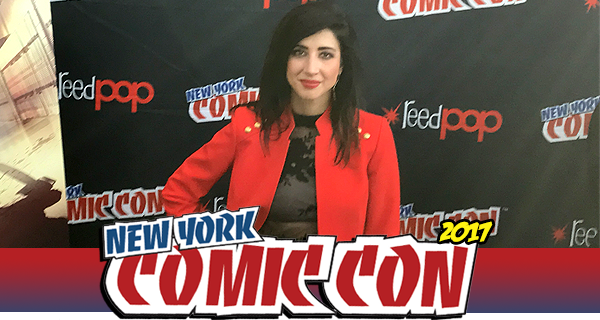 At NYCC in October, the cast assured fans we would get the third season and we found out then that February 25th, 2018 was the date. 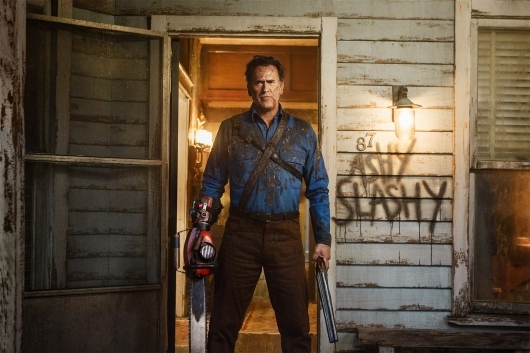 Now it’s Ash vs Evil Dead Eve and we cannot be more excited for the best combination of gore, slapstick, and one-liners to hit our screens once again! Check out the trailer for Season 3 here below, along with a behind-the-scenes preview featurette for the new season. 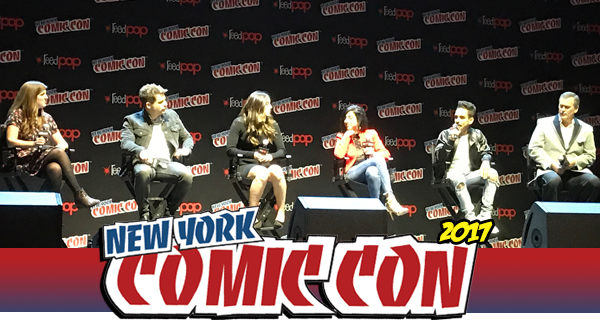 This past weekend, Ash vs Evil Dead took over New York Comic-Con, holding their panel at the Hammerstein Ballroom, where series stars Bruce Campbell, Dana DeLorenzo, Ray Santiago, Arielle Carver-O’Neill, and Lindsay Farris treated fans to a special sneak peek of the season 3 premiere and conducted a panel discussion and Q&A, before greeting fans at the Javits Convention Center for autographs and photos. I had the chance to join over members of the press to speak with the cast members of the series about their experiences on the upcoming season. Saturday marked Day 3 for New York Comic-Con and was the dead I had circled. It was Ash vs Evil Dead Day! Having attended this panel the previous two years, I knew I was in for a treat with this crew. I arrived to the Hammerstein Ballroom in NYC at 9:15am for the Ash vs Evil Dead panel, which was to start at 12:30pm, and the streets were already packed with fans, many in cosplay as Ash and others showing off their Evil Dead tattoos. The place had fans overflowing and by the time 12:30pm rolled around, the theater on 34th and 8th Avenue in Manhattan was near capacity. 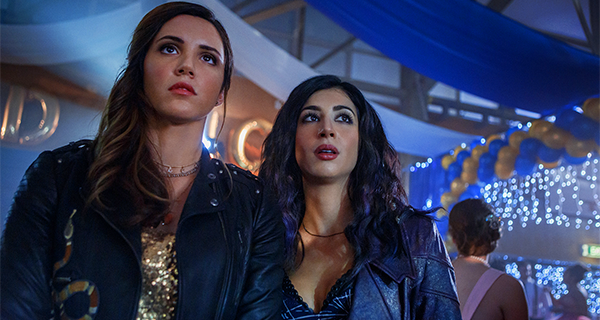 There had been much tension amongst fans of the Starz series, as the network at that point had failed to announce a premiere date for the third season, especially since seasons 1 & 2 both debuted around Halloween. Thankfully, crisis was averted, and right in time for NYCC, Starz announced a February 2018 airdate. Star Bruce Campbell came out onto the stage first, dressed in a typically spiffy smoking jacket and thanked the fans for putting his kids through college. As a reward, we were given a full screening of the Season 3 premiere (see info about the episode at the end of this post). Ash vs Evil Dead will be entering its third season on the Starz network after debuting on Halloween, 2015. 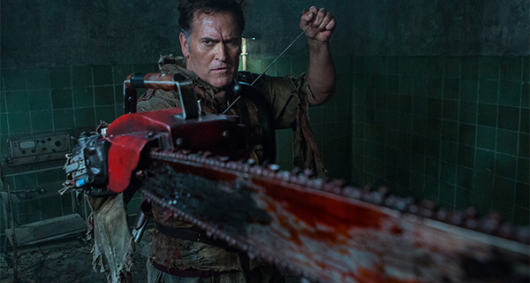 Last season, in its second year, the show avoided a sophomore slump by hitting the gas pedal hard on everything Evil Dead fans have come to expect: gore, one-liners, crazy chainsaw action, and… did I say… gore! You can get ready for Season 3 by picking up Season 2 on Blu Ray when it hits stores on Tuesday, August 22nd. 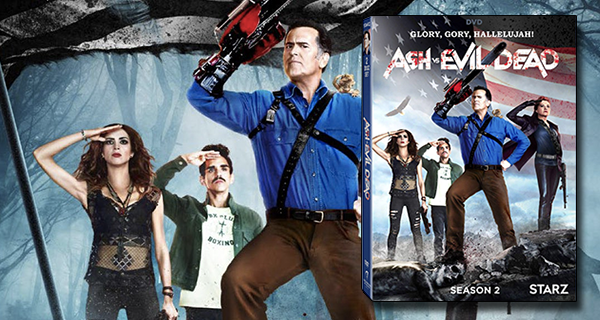 It’s Ash vs Evil Dead week for me over at Geeks of Doom. 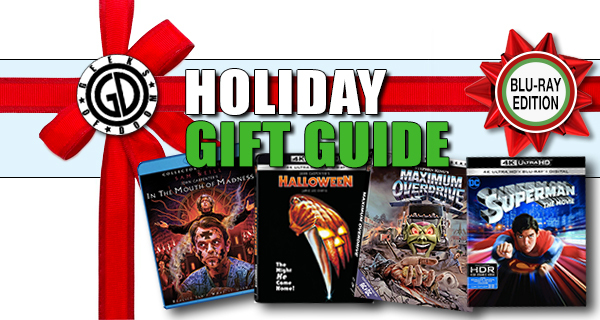 I got a chance to interview the three lead cast members, reviewed the upcoming Blu-Ray release, and met Bruce Campbell at a book signing in New Jersey. 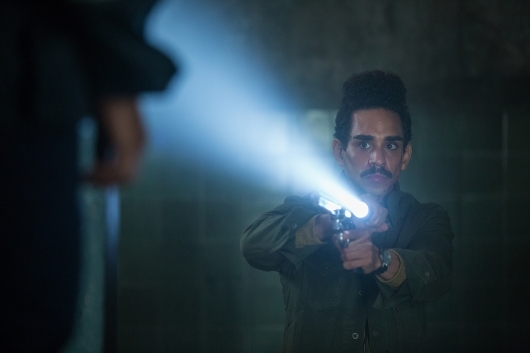 One of the highlights was getting to speak to Ray Santiago, aka Ash’s trusted sidekick Pablo Simon Bolivar. The Bronx born actor has been a pivotal part of the Starz series since its premiere in 2015, supporting his “jefe” through plenty of deadite-fueled adventures. 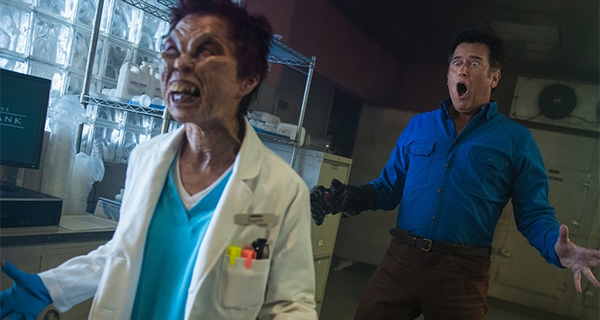 Last season on Ash vs Evil Dead, Pablo faced several challenges from his body being possessed by the Book of the Dead, to terrifying visions, and oh yeah, there was the bit about him dying. With Ash vs Evil Dead season 3 already completed and awaiting a release date from Starz, I spoke with Pablo himself about his experiences during season 2 and what to look forward to on the upcoming season.